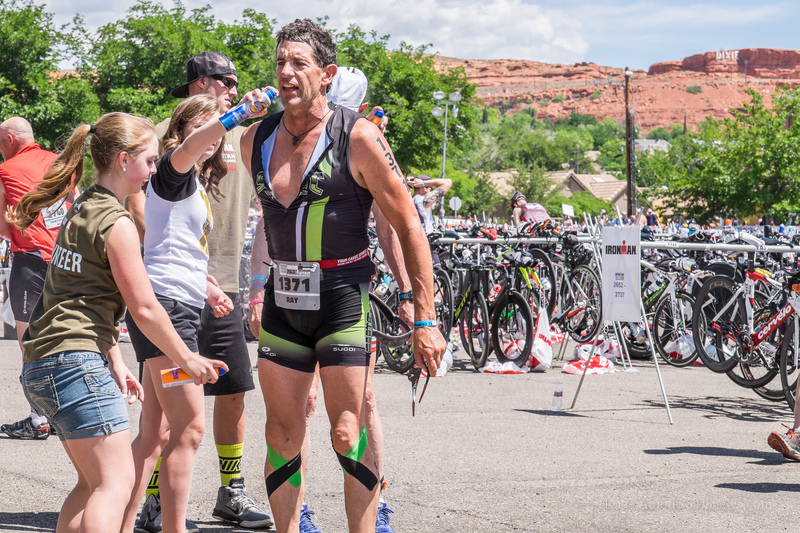 ST. GEORGE — Ironman 70.3 St. George is seeking volunteers to help with various duties throughout the race set to take place May 7. With thousands of triathletes, both professional and amateur, participating the volunteer support required to accommodate them is significant. Several hundred additional volunteers are needed to help with the execution of the event. For the seventh consecutive year, St. George will host the triathletes. All told, there are expected to be 2,500 athletes. The ways community members can support them are abundant. Neilson said that in addition to manning aid stations, volunteer opportunities include being course pointers at various intersections, taking off athletes’ wet suits following the swimming portion, transferring gear bags and helping with registration. Anyone interested in volunteering can sign up online. Volunteers receive a T-shirt and are invited to a volunteer banquet after the race that will be held at 6 p.m. near the finish line at the city’s Town Square Park.